Application Deadline: 23rd November 2018. Eligible Countries: Applicants should be from Angola, Mozambique, Namibia, Zambia, the DRC, Botswana, Lesotho, Malawi, Swaziland, and Zimbabwe. Candidates from Angola, Mozambique, Namibia, the DRC and Lesotho will get priority in the selection of scholars for 2019. About the Award: Southern African Women Media Leaders who wish to study media management and leadership at the Rhodes University’s Sol Plaatje Institute (SPI), South Africa for Media Leadership are invited to apply for postgraduate scholarships 2017 offered by the Open Society Initiative for Southern Africa (OSISA). Successful scholarship applicants will register for the SPI’s one- year, fulltime Postgraduate Diploma in Media Management (PDMM), the only university-level media management course in Africa. 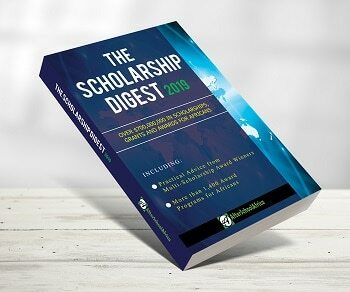 The postgraduate scholarships, sponsored by the Open Society Initiative for Southern Africa (OSISA), are for women media leaders in OSISA’s 10 Southern African countries which include Angola, Botswana, the Democratic Republic of Congo, Lesotho, Malawi, Mozambique, Namibia, Swaziland, Zambia and Zimbabwe. The Sol Plaatje Institute for Media Leadership is a pioneering media management institute of Rhodes University’s School of Journalism and Media Studies. It educates and trains high-level media managers and leaders for and from across Africa through delivering unique, innovative and Africa-contextualised courses and training programmes. All of the Institute’s courses and training programmes are fully accredited and certificated. Only female students from OSISA’s 10 countries of Southern Africa are eligible to apply for these scholarships. Applicants should ideally come from media companies. Successful applicants will be required on completion of the PDMM to return to their employers in their home countries to work there for a period of at least a year in partial fulfilment of having been granted the scholarship. Applicants should ideally have completed an undergraduate degree from a recognised university. Experienced media practitioners with diplomas in journalism or mass communication studies will also be considered. Employers of the successful scholarship applicants or the scholarship winners themselves have to cover their travel costs to and from Rhodes University, including during the University’s holidays, to encourage greater ownership and appreciation of the scholarship programme by the beneficiaries and their media organizations. Complete Rhodes University’s standard External Honours Application form, which is available at https://www.ru.ac.za/media/rhodesuniversity/content/registrar/documents/forms/2015%20External%20Hons%20Applications.pdf), which must be submitted directly to the Registrar’s Division at Rhodes University and a copy emailed to Sibonise Mbengashe (s.mbengashe@ru.ac.za) at the Sol Plaatje Institute for Media Leadership. They must also complete the application form for the PDMM, which is available at https://www.ru.ac.za/spi/studying/ and send it to both the Registrar’s Division and the SPI’s Sibonise Mbengashe (s.mbengashe@ru.ac.za). Only short-listed candidates will be contacted after the applications close at 12 mid-day (Southern African Time) on 23 November 2018.